The socalled Riesensäule (giant's column) made from Diorite, length 10m, slightly conical diameter conical about 120cm. 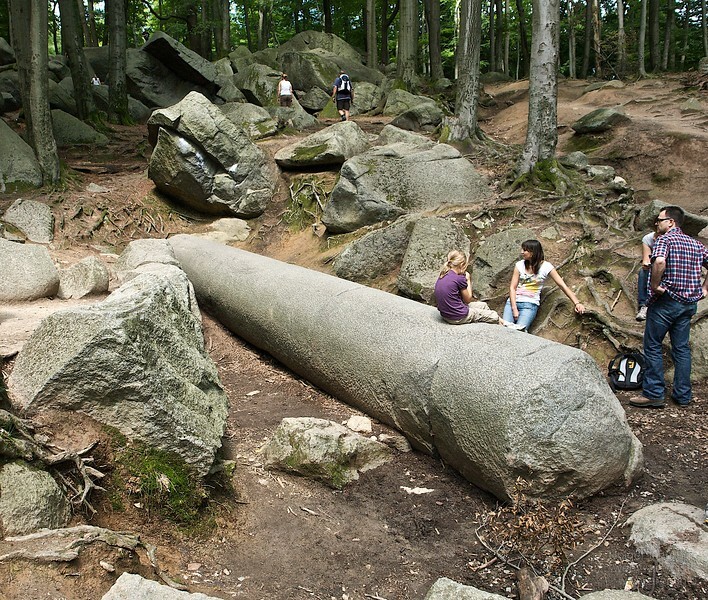 That is the only (remaining) presumedly Roman made granite column in whole Germany. In Trier near the dome and the amphitheatre, some broken pieces of two other columns exist. In my opinion, all the work on the Felsberg have been done at a time when the granite was "new" and not completely hardened yet, in a state like wet clay. I know, that this contradicts the classic theory about granite formation, but I don't see any other reasonable logical explanation so far.